Published in Chambers circa 1930s. Perhaps the witchery lies in Rhodesia‘s sunshine, tempered as it is with cool winds from a myriad of hills. It may be the call of the Wild or the lure of pioneering; perhaps it is largely due to the easiness of life in a most hospitable land. Whatever the causes, few ever come to Southern Rhodesia and leave without regret or intentions of returning. There are many thousands of Britons either in the homeland or in the Empire’s Possessions who are seeking a kindly land in which to find homes for themselves and their children. To those who have lived in the East, Rhodesia presents unequalled advantages for her climate is superb, native labour is cheap and plentiful, and there is an abundance of social life such as appeals to those accustomed to the Straits, Burma and India. But to those who have never been out of Britain before, Rhodesia can also offer whatever they crave for in a life of the open. Mines to discover, big game to hunt, farms, plantations, ranches and industries to develop. The Colony is twice the size of Great Britain yet her white population is hardly that of a small English town. She has millions of acres of rich unsettled soil and only 3000 farmers and ranchers. These few thousand men possess almost a million cattle, 85 000 sheep, 24 000 pigs and a quarter of a million head of poultry. They are developing half a million acres of agricultural and several million acres of ranching land. It has been stated that Rhodesia will stand or fall on the success of her tobacco. Such has been said at various times of her mining, cattle and maize industries. Experience has proved that Rhodesia will never be dependant on one support. Her diversity of climate, altitude and soils, her mineral resources and the surrounding markets in which live 50 million potential cash customers, place the colony in a unique position. 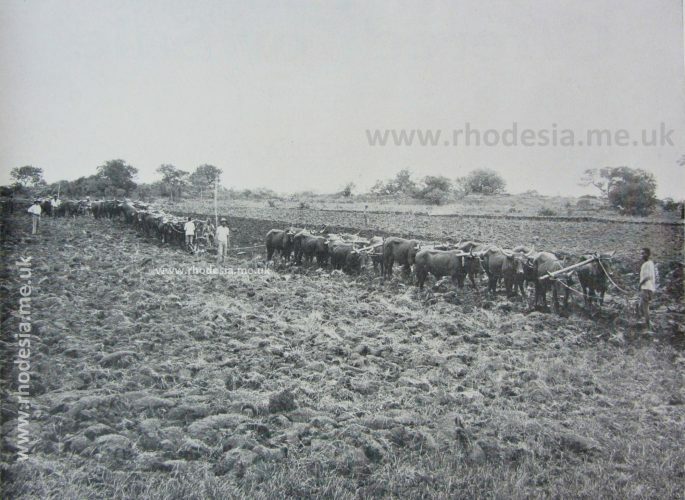 Breaking up the stubborn but remarkably fertile soil of Rhodesia. Almost every known agricultural product can be grown on a commercial scale. This is amply borne out by the crops produced by 3000 scattered farmers. For 1929 the year of the Rhodesian tobacco slump the Government returns show 1 826 345 bags of 200 lbs of maize; 361 173 lbs of cotton delivered to ginneries, 18 830 bags of potatoes, 4 986 tons of onions, 12 901 bags of wheat, 7 143 tons of edible beans, 567 tons of oats sold by farmers. Many other crops also feature in the list wattle bark, coffee, tea, lucerne hay, fruit and almost 30 000 tons of ensilage amongst them. 24 491 464 lbs to 6 704 986 lbs. Increased plantings of Turkish tobacco were made but owing to a poor season the crop yielded only 337 479 lbs in 1929 as against 451 580 lbs in 1928. The last two years have not seen much development in agricultural activity owing to the prevailing depression in Rhodesia’s chief markets. Farmers have been more or less marking time as regards production, endeavouring to improve their farms and to hold their own until the clouds of financial stringency pass. Rhodesia is fortunately in a remarkably good position. Her 1931 Budget showed only a £25 000 deficit on the previous year’s working. Government and people have co-operated loyally to solve the problems forced on various industries. None of the problems has proved insoluble and the result is that today Rhodesians are facing the future waiting eagerly to launch Rhodesian products on the world’s markets. 50%of the United kingdom’s tobacco requirements can be supplied by Rhodesia. Tea is proving a satisfactory and payable crop, large acreages can grow excellent coffee, wattle bark is an easily grown and very saleable commodity, rice growing offers many opportunities and the possibilities of fruit growing are undoubted, especially in view of the increasing markets opening in the mineralized belts of Northern Rhodesia and the Belgian Congo. The Settler can choose his home among the wild Inyanga and Umtali mountains and grow apples, cherries, plums and pears in the terraces made by forgotten race who left Rhodesia one of the most wonderful irrigation schemes in the world. Whilst irrigating his orchards from aqueducts thousands of years old the Rhodesian may watch the flocks of merino sheep dotting the hillside, see his dairy cows dripping milk as they walk byrewards, rejoice over the rapid growth of wattle plantations and gloat on the fatness of his beef herds. He has Chipinga to pick a farm in and there grow tea or coffee, produce the best of citrus fruits, devote himself to pineapple or banana growing, or combine any one or all with wool and mutton, beef and cream production on as large a scale as his finances allow. In other districts, there are great belts of a level country along the railways where maize fields are reckoned by 1000 acre standards – there are wide and fruitful valleys running for a hundred miles and more where maize and cotton yield the heaviest of crops. Much of Rhodesia is sandsoil and here tobacco can be grown equal to any produced by Virginia and the Carolinas. 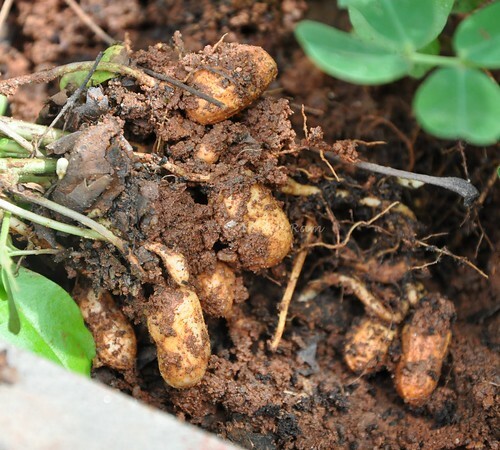 Immense yields of groundnuts also given by the sand and to those direct from European latitudes but the scenery and climatic conditions always make an irresistible appeal for these are more densely settled areas. there is no malaria and the amenities of civilized life are always at hand. 2 500 000 acres in area. One white rancher with native assistance is supposed to be able to manage 5000 head of cattle so naturally cattlemen lead Robinson Crusoe existences. To rear beef cheaply, land must be cheap and such is not found close to settled areas. Cattlemen go further afield and their lives are such that only the young and adventurous you are not encumbered with dependants are usually fitted for the loneliness and strain of ranching. Mining and trading or other activities which one wonders so few newcomers ever attempt to engage in. Rhodesian Government Departments are filled with men who know the country, who absolutely trustworthy advisors and who are always anxious to assist whoever comes to them. There are wonderful opportunities in the mining industry for level-headed men possessed of small capital and the Government offers not only advice practical and financial assistance. There are literally hundreds of abandoned gold mines scattered about Southern Rhodesia which are worth doing further prospecting work on. Many were abandoned in days when working costs and machinery were far higher than they are today. Most whilst not offering any attractions to companies yet afford possibilities for small syndicates or single owners. In many cases, former owners tried to make the mines pay their own development work and gave up immediately serious obstacles presented themselves. Mine owning is naturally no occupation for those who know nothing about mining but its science and art can be learnt equally as easily as those of farming and ranching. There is no more reason to fear losing money in developing a promising gold reef than there is in farming. True a reef might pinch, values go out, ore become refractory or one of a dozen other mights occur but with farming bad seasons, flooded markets, disease and many other enemies may rob a farmer of all he has worked for. But as the tobacco farmer turns to cotton or maize when his tobacco fails so the disappointed miner goes looking for chrome, asbestos, mica or a new gold reef. A knowledge of prospecting and mining is a most useful asset to anyone settling in a country like Southern Rhodesia. Most of the maize belt lies in a gold-bearing country and many a farm has a little two to five stamp battery pounding away on a small mine which is often the property of the farmer. In the granite, there is a good deal of corundum and in some districts, the country is full of chrome. The romance of Rhodesia’s mineral deposits has yet to be written but few imaginations could yield the material which the Umvukwes, Hartley, Gwelo and other districts offer the writer. Native trading offers perhaps a greatest of all opportunities to energetic business men. 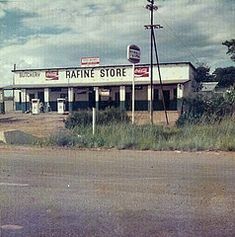 The native responds readily to any real interest shown in his welfare and though thousands of native stores are established throughout Rhodesia few traders really trouble to study the natives growing wants. As a general rule, the trader is simply out to make as much money as he possibly can in the shortest possible time. His stock is limited to what he considers will yield him immediate profits and his trading principles are usually those of pioneer days. But African natives today travel throughout the Continent, education is causing them to develop new wants and to appreciate good value for their money; quite a number are beginning to use C.O.D. system and import goods from Britain or the South African Union. So there is little doubt but that well-stocked shops offering attractive goods would soon take away the customers of the old-fashioned trading stores with their uninteresting shelves. Business opportunities are unlimited in Rhodesia. One is apt to consider the country solely from the viewpoint of a settler who wishes to take up farming, to think of mining and trading as being prerogatives of people born in mining camps or trading stores, to overlook the possibilities of exploiting knowledge gained in one’s past. Homilies are seldom appreciated but when a man’s life is spent rushing about a country settling men of all trades, professions and occupations into a life they have chosen without any experience of it; it may be permissible to express a candid opinion. A hairdresser well on in years arrived in a district which was rapidly filling. With the savings of many years, he bought a small farm and through a slump lost all he possessed. Had he started a hairdressing establishment when you arrived, the probabilities were that within twelve months he would have doubled his little capital and gained sufficient knowledge of the district to pick up a choice little farming investment. Another an auctioneer by profession had this same experience and the same opportunities. Others again would have saved the loss of time and money by availing themselves of the many openings awaiting at every turn, yet as men are obsessed in a gold rush so settlers coming to Rhodesia seem obsessed with the idea of farming and farming only. Any gold or diamond digger will vouch for the fact that there is more money in running a business on the diggings than there is in digging. A few diggers are lucky just as a few farmers are lucky, but generally speaking, it is more profitable to be a lawyer, a dentist, a butcher or hotelkeeper when in a community which is spending cash freely. In Rhodesia, a man can pursue any occupation without loss of social status. As long as he is making good and pulling his weight with his neighbours his business is purely a matter for his own concern. 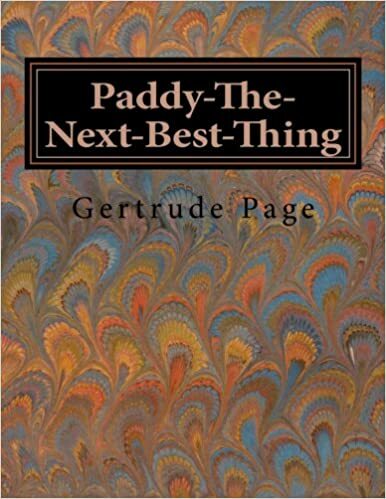 On the surface, there is much of the Gertrude Page atmosphere about Rhodesian life. Underneath there is always steady progress being made. Year after year more country is being settled, new industries are established and old ones are developed. The great concessions being granted mining countries will certainly lead to increased spending powers amongst the native population, and to more marketing available to farmers and business people. Rhodesia surrounded by countries which will buy largely from her as they develop. Bechuanaland, Angola, Portuguese East Africa and the vast Northern territories will look likely to Rhodesia for many products which it is hardly likely they themselves will produce commercially for a long time to come. The late D.M. Stanley one of the Rhodesia’s pioneers describes most eloquently the Eastern districts to which he and a score of other gallant frontiersmen devoted their lives. The ever-changing panorama of the hills, the changing colour of the mountains, the vivid green of hilltops and valleys are bound to hold in a lasting thrall the minds of all who know it. The numerous cascades have not only a beauty for the lover of nature and the artist but also for the agriculturist, who dreams of the wastewater turned into irrigation channels and fertilising hundreds of acres of the richest soil in Rhodesia. Again it has its beauty for the industrialist. He sees the many thousands of horsepower running to waste and dreams of the time when such, harnessed by modern methods shall be able to work, at a minimum cost, half the manufactures of South Africa. There is another vision that may strike him who rides down our larger valleys. He sees kloof after kloof, valley after valley, unfolding as the turned leaves of some vast book. One out of three of such hold permanent water, and the imagination runs riot as to the possibilities for the establishment of smallholders – men who would own their little farms and be the forefathers of a race of small yeoman farmers. That would be the most valuable asset Melsetter could give to the Colony of Southern Rhodesia. Contributor to S.A. Farmer’s Weekly, Farmers Advocate, Argus Newspapers, Feedstuffs U.S.A., Textile Weekly etc.etc. Kotzee has been away nearly a fortnight with the waggon and I am feeling simply desperate. Without the donkeys and boys, I can do nothing except write, bathe and moon around. I walked ten miles over to a ranch but found nobody at home – got back utterly weary but couldn’t sleep. I’m so sick of boiled monkey nuts and beans. We’ve lived on them for weeks and haven’t had tea or sugar for a fortnight – meat I’m forgetting the taste of. Still, I’m not fed up with the life and its hardships only with the lack of anything to do. I would like to go over more often to our nearest neighbours the two Englishmen but Kotzee hates them. Honestly, I’m beginning to think Kotzee is a bit mad. He keeps bragging about how he was a Boer spy in the Great War and was put in gaol as a rebel. Now if there’s one thing I can’t stand at any price its a beastly disloyal South African. One can understand Irish Catholics or any Irishman living in Ireland and being rebels – after all Ireland is a country inhabited by a Celtic race ruled by a foreign power in armed occupation of the land. In South Africa, a mixed population of whites rule themselves under the protection of Britain and are themselves the Power in armed occupation of a land that really belongs to the Blacks. Kotzee, however, won’t agree only rave – I asked him what personal grievance he had – he has been born and bred under the Union Jack, has never been under its folds, his people are wealthy distinguished citizens of the Empire, his Uncle is a peer of Britain and the second citizen of Africa. Kruger I could understand being anti-British but he isn’t, though a Burgher of the Transvaal Republic he fought against Britain and was a prisoner of war at St Helena for nearly two years. But Kotzee can only rant and rave absolute nonsense. He boasts of refusing to ride transport with an Englishman, and about a dozen other cases of cutting off one’s own nose to spite one’s face. It all makes me sick and honestly, he not only talks like a madman when on the subject but looks like one. I’ve found all the Englishmen I’ve met to be splendid fellows and our two neighbours, in particular, have been awfully good to me. Their place has a rather gruesome history. It was owned by a pioneer one of a kind one reads of – father a judge in the Indian Civil Service, one brother a general in the British Army, another in the navy. He himself lived as a sort of unofficial king amongst the natives. One night two or three chaps including Kotzee were over there and Devereux seemed awfully depressed. He bucked up whilst playing poker and afterwards made tea or coffee for the lot. The others slept in an outbuilding and during the night heard a shot. Nobody bothered as when dogs keep barking at night lots of fellows go out and fire a round or two to scare any intruders. Next morning, however, when going into the dining room one of the guests found Devereaux at the head of the table with his head in his arms – thinking him asleep he went up to shake him when to his horror he found Devereux’s head in a pool of blood and a revolver grasped in his right hand. The poor chap was stone dead and had left a letter asking the others to bury him on the top of a high hill opposite the house. He wanted his spirit to sit there and watch Wedza and the farm he had made. There’s a beautiful orchard around the house – guavas, oranges, loquats, lemons and other fruit – queerly enough looking down from Devereux’s grave the whole orchard is a huge Union Jack. Nearly everybody about here seems queer – one chap, of good English family, has been all over the world and was blockade running during the Russo-Japanese war – now he lives all alone right away in the hills quarrelling with his only neighbour an old Highland ex-shepherd and ex-regular – Black Watch. The Highlander to is queer – he had sunstroke badly in India and gets all kinds of funny ideas. Airth the manager of a ranch adjoining us is another Highlander – a jolly fine chap but gets awfully drunk on kaffir Beer – Hunter another Highlander is a very wealthy trader but also drinks heavily – sometimes they all get together and booze for a week. It’s too dark to write and beastly cold. I have now thoroughly entered into the daily routine and must say this is an ideal sort of life. The weather being bitterly cold in the early mornings we only begin stirring about eight. The hour seems ridiculous for a farm but neither love nor threats will get a Mashona to move before the sun begins to kill the frost and warm up the earth. At eight a picannin brings a kettle of boiling water and we make tea. Having no cows we drink it black and weak. At about half-past, we get up, have a wash outside, dress and begin the days work. At about eleven comes a halt to set about preparing a meal which combines breakfast and lunch. This consists of sourdough bread made and baked by ourselves from rapoko and wheat meal mixed – the rapoko now and again we vary by using Kaffir corn which combined with the wheatmeal or flour makes a great sustaining bread. With the bread, we usually have rapoko or corn porridge with an occasional change to rice or maize – all four are good but Jove do I long for milk and cream. Dry bread, milkless porridge and black tea doesn’t sound appetising, but when hungry they go down all right and anyway as long as a man feels full it doesn’t matter much what sort of stuff he puts inside himself – not as long as it is nourishing anyway. After skoff work starts again, continuing until about five when we set to on getting the evening meal ready. This is a sort of Irish stew – potatoes, native beans, shelled monkey nuts or peas which has been simmering on the fire since noon. Now and again we trade a fowl for some salt or a cartridge case. Sometimes Kruger or Airth the manager of an adjoining ranch sends us a bit of buck, and once or twice I’ve shot something – If we’re lucky enough to have meat we gorge to bursting point – if we haven’t, well! we add a bit of curry powder and some powdered stuff from a soup sausage – a sort of concentrated mixture of pea-flour, bacon, herbs and stuff. This thickens and flavours the stew and it goes down rapidly enough. After eating we play euchre or go to sleep. Neither of us has any money so candles or paraffin are unobtainable luxuries. The old Lee Metford I brought up with me is the only weapon we possess and is almost useless. At 100 yards it throws eighteen inches to the left. At present hunting is a mug’s game for the long dry grass prevents the hunter from seeing the buck and the rustling and noise of a man moving in it is enough to frighten anything within a hundred yards. One’s only chance of securing game is by going out with a shotgun and some dogs. A buck hearing something moving in the grass generally lies down – if a hunter is accompanied by dogs they will put it up and a charge of heavy shot provides a few days supply of meat. Otherwise, it is sheer luck coming on a buck perhaps standing under a tree or feeding in an open space where the grass isn’t too long. In a month or two the veld fires will start and then everybody assures me I will see all the game I want to. I must get a Martini-Henry rifle then, as the heavy lead bullet doesn’t give a buck a chance of getting away. I hate wounding anything and it is marvellous the vitality shown by a wounded animal. I’ve seen one run over a mile with the whole of its entrails dragging from it. Wild things always seem to either be killed instantaneously or to fight desperately for life against most awful wounds and it is really terrible the sort of mess a soft-nosed or a bullet with its end nicked into a cross makes. If one strikes a bone or anything but soft flesh it mushrooms and splits. There are quite a number of people in the district but all on the other side of it. Between Marandellas and ourselves, there are the Godfreys and Kruger – beyond are two young Englishmen growing tobacco in partnership and beyond them again are two fellows living in the hills doing a bit of trading. Behind and in front of us is all native reserve and wild uninhabited country. From Marandellas towards Wedza is where settled country is – there people are going in for growing Virginian cigarette tobacco on an extensive scale and experimenting with citrus fruits, cattle breeding and general farming. From all accounts, there are fortunes to be made from tobacco but a lot of capital is needed. Flue curing barns are required; and with transport at 5/- per 100 lbs, carpenters and bricklayers at 30/- to 40/- per day and all found, it needs £300 at least to build and equip a standard flue-curing barn 16 feet by 16 and 20 feet high. Then one requires unlimited labour – on the other hand, the profits are big. At an average yield of 500 lbs per acre sold at from 2/- per lb for scrap to 4/6 for best Brights, the growers base their average price at 1/6 per lb or £37-10 per acre – one barn will cure 10 acres or at least £375 worth of ‘baccy’ in a season. We want to try and build a small flue barn ourselves and also air and sun cure a couple of acres of tobacco as a start – with wheat, oathay, barley for the brewers, potatoes, trading and transport riding we should soon be on our feet but Oh Dad its cruel work starting with nothing. Every day we are offered maize at 2/6 per 203 lbs by the Mashona and can dispose of it at 9/- to 12/- at Marandellas. Native beans cost us 8/- per bag and sell in Marandellas at from 20/- to 30/-, ground nuts 3/- to sell at 8/-. Rice 10/- to sell at 20/- and the same with everything else. Our waggon can take 20 bags of maize – so an eight to ten-day trip would yield only £7-10. Beans pay us best but we’ve never enough cash to buy a full load.